Tao Geoghegan Hart was having a dream season in 2013 and if there was ever a dead cert for the junior rainbow jersey, the 18-year-old Brit was it. But cycling rarely works like that. Geoghegan Hart recalls, ‘The race was going perfectly to plan. I had all of the sensations of top form, but then, with three-quarters of a lap to go, I noticed the chain jumping a little. Suddenly my legs were spinning round uncontrollably. I looked down to see nothing there – the chain was gone.’ And with it, any chance of winning. ‘At a glance, bike chains appear to be the same as they have been for years, but the reality is that a chain from 30 years ago and one from today are about as similar as a deep section carbon wheel and an old aluminium-rimmed, 32-spoke wheel,’ says Joshua Riddle from Campagnolo. 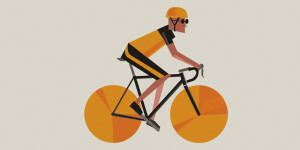 While the job of a chain remains the same as it’s always been – it needs to engage perfectly with the teeth of the chainring and cassette, rolling smoothly without wearing too quickly – the addition of more sprockets in modern drivetrains, and striving for perfection in every gear, has only complicated matters. As the youngest member of the big three groupset manufacturers, SRAM got a head start on its component development by buying the German chain manufacturer Sedis-Sachs, the company that first pioneered a bushless chain in the 80s. This technology – at the time revolutionary – allowed the chain to have more lateral flexibility thanks to a lack of bushings, and thus paved the way for the increasing number of gears we see today. 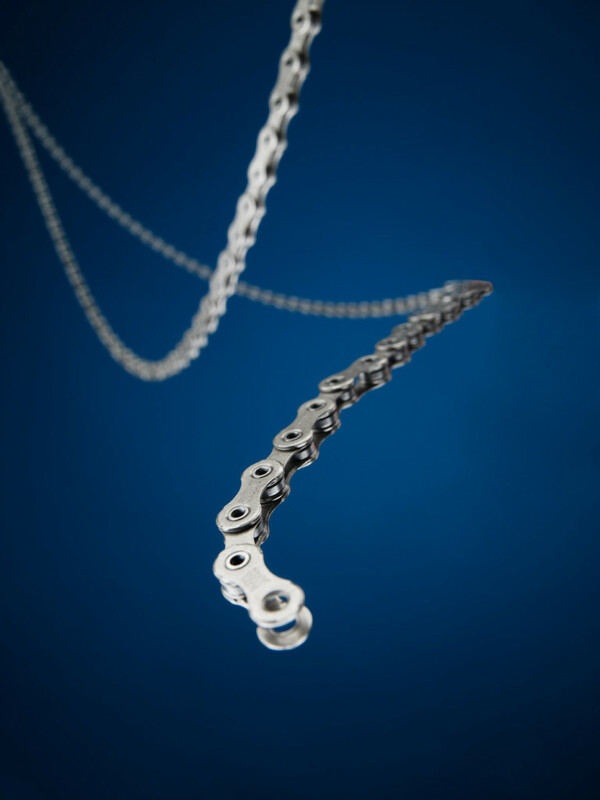 Bicycle chains start life as sheet steel, which is then fed through a powerful punch press to stamp out inner and outer plates, at a rate of around 10,000 links per hour. ‘The difference between chains at different spec levels are materials, finishes and features such as hollow pins and cut-out plates for lighter weight,’ says Schmidt. Those more complex chains with cut-outs require a more intricate stamp to remove more material while retaining precisely positioned chamfers that assist with gear shifts. Samples of each link are sent to quality control to ensure the position of each link is correct and the hole is precisely the right size. After heat treatment to harden the steel, the links are polished and prepped for further treatments, normally PTFE or Nickel Teflon coating to resist corrosion, and to ensure the links roll smoothly on and off the teeth of the chainrings and sprockets. More expensive chains usually get pricier coatings, with Shimano’s Sil-Tec, KMC’s Diamond Like Coating and Campagnolo’s Antifriction Ni-PTFE at the top end of the scale. The inner and outer plates don’t necessarily get the same treatment because each has a different role. The outer plates only come into play when shifting from inner to outer chainring, while the inner plates connect with cassette sprockets as the chain climbs. 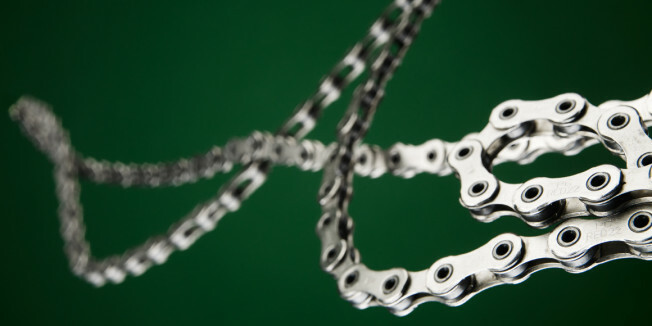 With coatings applied, the chain is assembled by a machine, which places spacers in between the links and presses a connecting pin through to keep the chain together. The chain then passes through a magnified inspection station to be analysed for flaws, before being dunked in a bath of hot oil to lubricate the links. It then passes over absorbent material to remove excess oil before being cut to length – typically 114 links. To create very slim chains without compromising strength – chains that can mesh silently across a multi-geared platform while also being able to resist fatigue within acceptable limits – is a feat few companies have mastered. To keep up with ever-evolving gear ratios on bicycles, chain manufacturers have had to work with new materials and develop techniques to individually sculpt links that can perform better under load and across the whole range of gears. He has a point. Imagine the result of a failing chain as you powered along out of the saddle in a bunch sprint. While efficiency and weight are undoubtedly on the list of criteria for modern chains, at the forefront of any designer’s mind is reliability. As production director at Condor Cycles, Neil Manning sees a lot of bikes, destined both for customers and the Rapha Condor JLT race team, so he sees a lot of chains too. As an industry veteran, he advocates using a cheaper chain but replacing them more regularly to maximise the lifespan of your entire drivetrain. It’s a message echoed by all the teams and mechanics we spoke to: check your chain regularly and replace it as soon as there are any significant signs of wear. All were also equally quick to remind us that the major factor when it comes to making chains last as long as possible is to keep them clean. 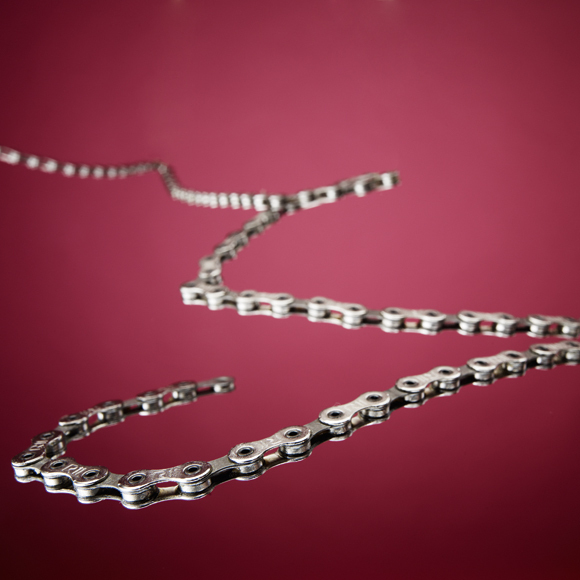 There are a few simple things you can do to extend the life of your chain. When it comes to riding cross-chained – big chainring to big cassette sprocket – leading engineers have been clear in their opinions that this is potentially damaging for chains. 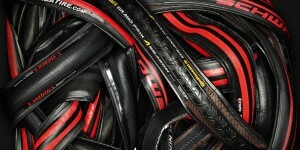 Hayes agrees: ‘Staying in the big ring at all times might make you feel like a Pro Tour hero, but it’s costing you money. Riding cross-chained really kills the chain, plus it’s not efficient as there’s more resistance.’ The advice, it seems, is if you’re an amateur and you pay for your own parts, drop it down to the small ring earlier. The remaining issue is how best to lube a chain? The advice from leading mechanics once again seems unanimous – wet, sticky lubes pick up a lot more grit, so choose lubes that don’t get so filthy. Also a ‘less is more’ strategy is preferable, where frequent, small applications of lighter lube between regular cleans is a better bet than one big dose of a heavy oil. If you visit bicycle trade shows and look in the corners away from the mainstream road cycling brands, you will see a smattering of other methods of propulsion on modern bikes, most notably belt drives. But despite the efforts of technology to improve on the humble steel chain, it looks like it is here to stay for at least a while longer. Use a quality chain checker to monitor chain wear. This prolongs the life of the whole drivetrain, so you won’t have a huge bill for a full set of chainrings and a cassette each time. This is especially relevant if you use multiple sets of wheels. Carrying a quick link can be the difference between an annoying five-minute chain fix and a long walk home. Carry a chain tool with you – it’s worth the weight should the worst happen. 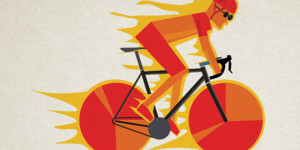 If you have only a limited time to clean your bike after a ride, clean the drivetrain first and foremost. It doesn’t matter if the frame is dirty, but your chain and other drivetrain components will not appreciate being ridden gritty. Adding more oil to a dirty chain is the cardinal sin of chain maintenance. Lube little and often, and only after cleaning the chain. Big oily deposits need to be cleaned thoroughly so as not to lock in grime. Use an appropriate, compatible (important, so check if you’re not sure) chain tool to remove the old chain by driving out one of the joining pins. If you are throwing the chain away any pin is OK to remove the chain. Use the old chain to work out the correct number of links for the new chain. Take care to feed the new chain through the derailleurs correctly, and it’s advisable to install a new chain on the small chainring and smallest sprocket to allow yourself the most slack to work with. If you don’t have the old chain as a guide, there are several ways mechanics determine the correct chain length, but perhaps the safest bet is to ensure the chain is just long enough to cope with running from the big chainring to the largest cassette sprocket (so there is almost maximal extension on the rear derailleur without over-stressing it). 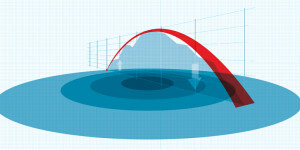 Then if you shift into this gear, while not ideal, it won’t damage anything. Install the chain following the manufacturer’s instructions. If the link feels stiff after joining you’ll need to free it up. If you’ve ever wondered what the second position for the chain on a chain tool was for – this is it. Use just a small amount of pressure once the pin is aligned with the tool.